What does educational innovation look like in rural India? 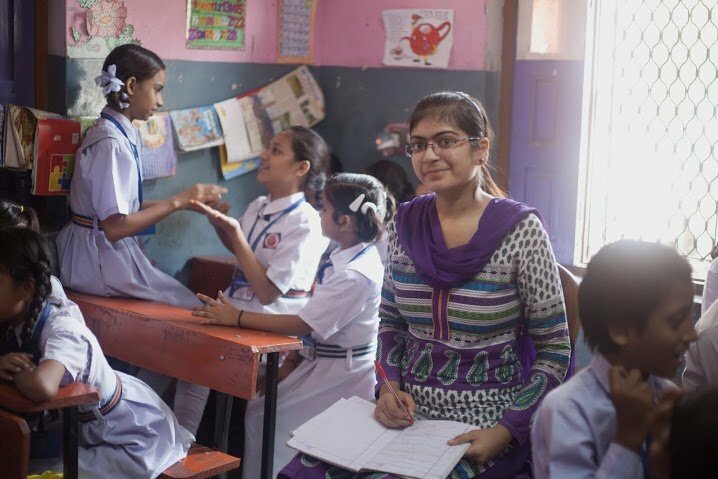 Meenu is 21, she is a teacher at JGM Public School – a primary school in Khajuri, East Delhi. 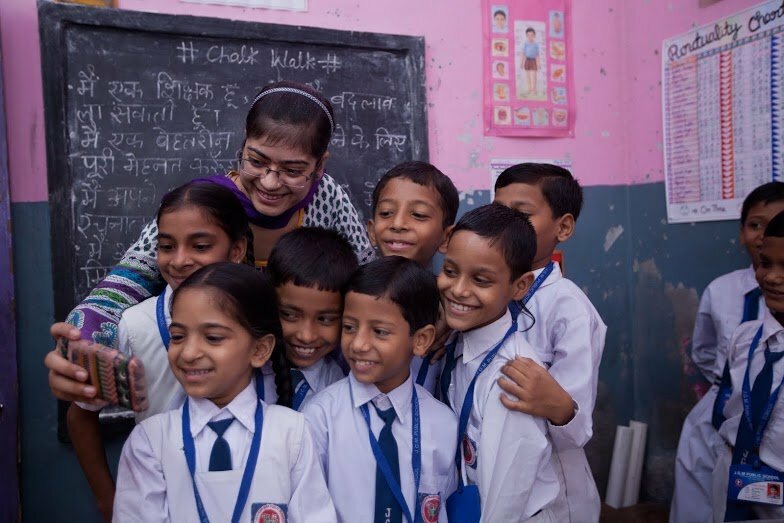 She is one of the 12,000 teachers whose work is being recognised and shared within Changemaker Teacher Networks to influence millions of existing teachers in India into re-thinking their role in shaping our society and the world. Meenu’s students generally come from communities within a kilometre of the school, and are mostly first generation learners. After hearing about the STIR Education Programme from a neighbouring school, the Principal, Mr Vikas Jain, was invited, alongside other teachers from the school to join the network. While attending a cluster meeting, Meenu got a chance to meet some teachers from nearby schools. Although they had previously met a couple of times, this was the first time they were all engaged on a common formal platform This gave Meenu an opportunity to discuss the problems she was facing with her students and learn through the experiences of her peer teachers. 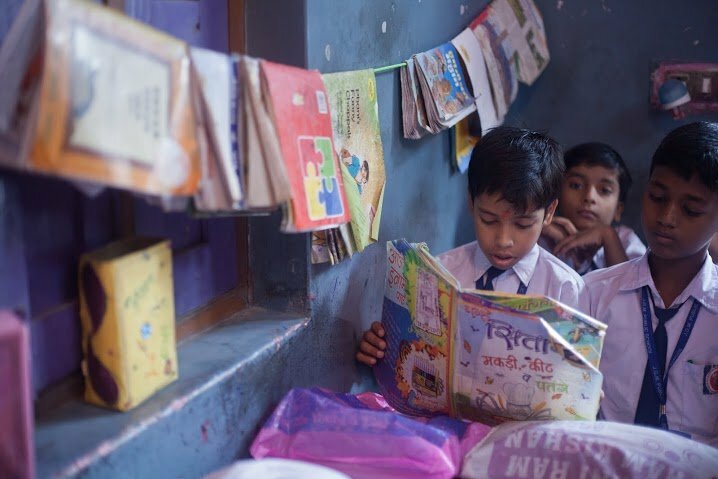 One problem Meeru came across, was that students didn't get any exposure to reading at home, resulting in them struggling with reading skills – because of this she was finding it hard to motivate them to practice. Meenu found out that the teachers at the STIR meeting were trying innovative methods to make their students practice reading. Making a note of some, Meeru started applying them to her own classroom. One of these was a classroom library, which she prepared by making a clothesline of books along the walls. This gave her students easy access to a diverse range of books which sparked an initial interest. At one of the STIR trainings, she also learnt the difference between a fixed mindset and a growth mindset, and started to utilise the latter in her way of teaching. Activities like Word Pitara are played, introducing the class to seven new words every week – the words are selected by the students themselves. Games like these are not only fun, but introduce some healthy competition amongst peers. Over the time there was a big improvement in the reading skills of her students. She encouraged them further by giving them little stars every time they made a sincere effort to read better. Sharing these ideas with other teachers in her school, they too applied them in their classes. As a result, students are more eager than ever to learn and this makes the teachers proud to do their job. Driven by a great sense of responsibility and pride for what they do in their classrooms every day, Meenu and other teachers from her school, participated in the Chalk Walk 2015 campaign along with 7000 teachers in India – taking an oath to reinstate the moral purpose of teaching. Now she wishes to take these learnings beyond her school and help other teachers who are struggling with similar issues of improvement in reading of the students – and ultimately continue this movement of change. There are many teachers like Meenu in the STIR network, they are supported to adapt and integrate evidence based practice, in their teaching, helping them to become effective practitioners over time. Eventually they integrate the spirit of continuous professional improvement, and community involvement at local, national and international levels. This article was writted by STIR Education. To learn more about the Changemaker Teacher Movement and see more about such inspiring teacher changemakers in India and Uganda, visit - http://www.stireducation.org/, see the Facebook page or contact us on Twitter @STIReducation.